With its compact and portable design, the XPRS 10 offers 1,200 watts of continuous (2,400W peak) power from its Powersoft Class-D amplifier. 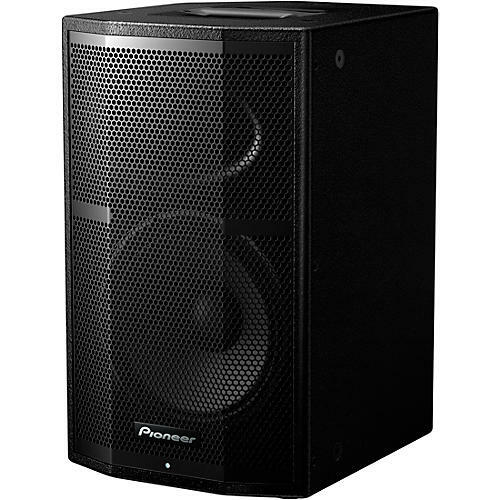 Pioneer's own AFAST technology utilizes an acoustic tube inside the cabinet to absorb standing waves, thereby increasing both low-end and mid-range frequency responses. Ideal for live bands, DJs and other mobile performers, the XPRS 10 boasts a 10" ferrite LF driver, a 1.75" titanium diaphragm compression driver. The result is natural, full-range sound with low distortion, even at high volumes. Designed for professional use, the Pioneer XPRS 10 features a rugged 15 mm birch hardwood cabinet, pro-grade hardware and a strong, yet stylish steel grille. Ergonomic carry handles make it easier to move and transport the XPRS 10, while its robust build quality ensure it will stand up to a rigorous life on the road. Adapt to a variety of genres and environments using the rotary selector switch on the back of the speaker to give you instant access to four different preset EQ profiles, including Wedge mode, which reduces the low frequencies to give a more balanced sound if you’re using the speaker as a floor monitor. The XPRS10 speaker is packed with features to protect the drivers, amp and power supply in to Amplifier module – giving you peace of mind, consistent high-quality sound, and extending the life of your sound system. For example, thermal limiting cuts off the speaker to prevent overheating, while stationary high-frequency protection guards the speaker against loud bursts, such as feedback. Thanks to a pair of balanced XLR/TRS combo sockets and an unbalanced RCA connection, you can simultaneously connect a microphone and other devices, such as line-level mixers or portable audio players.